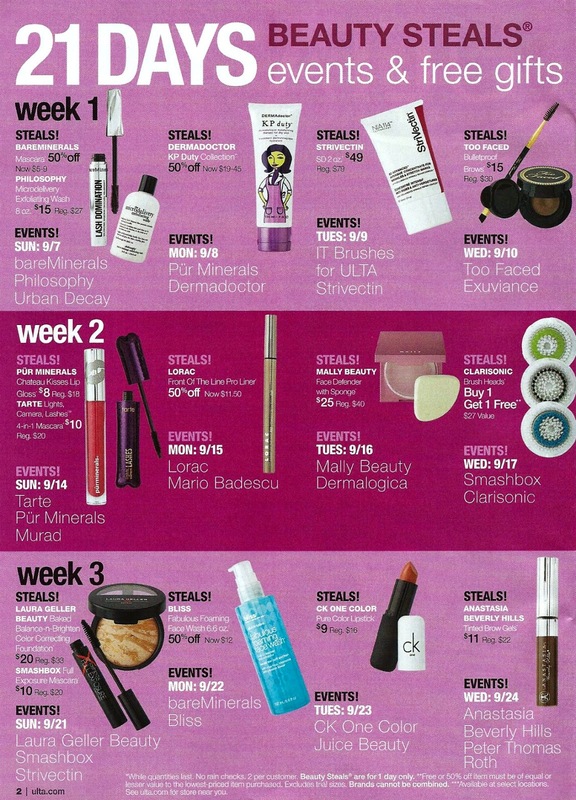 Ulta's 21 Days Beauty Event begins September 7 and runs through September 27. 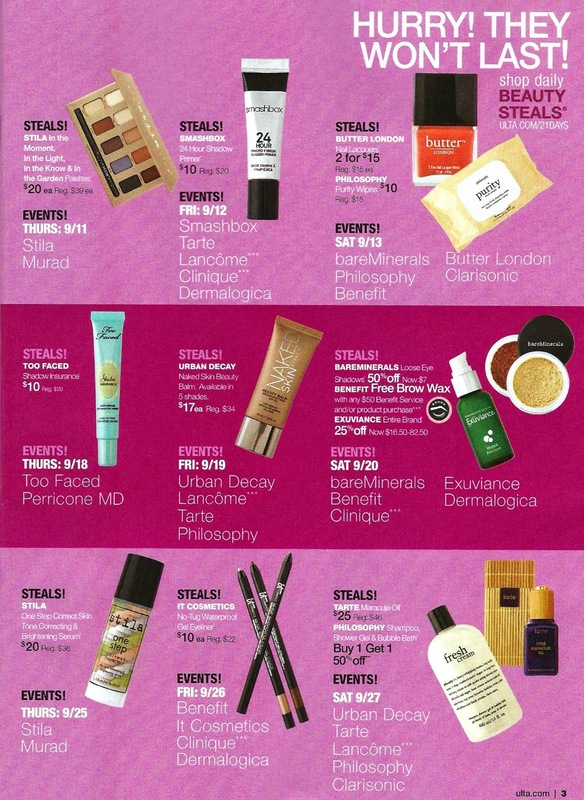 I received my sale flyer in the mail today, and scanned a couple of pages showing the daily Beauty Steals and the drug store brand sale. More information should be available on their web site soon, if you're interested in some of the other specials, events, and free gifts with purchase. The top row below is a continuation of Week 1, with Week 2 in the center, and Week 3 at the bottom. 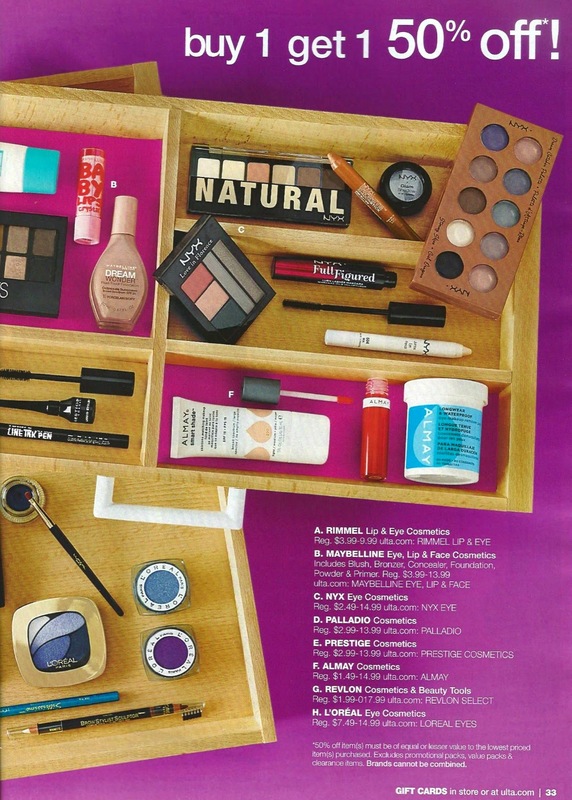 Lots of BOGO 1/2 off on the drug store brands! Time to stock up.